A few weeks ago I found my first grey hair. I panicked just a little. Being in my thirties, I’m confronted with the fact that I’m getting older, and it’s literally the first time that I started to look for ways to slow down the process. Not that there is anything wrong with getting older, but I would like to do it gracefully and the time has come to give that little extra attention to..well, me! In collaboration with Treatwell, I’m going to spend the next few months testing different treatments that are suppose to make me feel and look better on the in and outside. Last month I reviewed a Microdermabrasion treatment and this month I tried a Lypossage, a touch massage that smoothes out your skin and reduces cellulite. Lypossage sounds like a treatment you’re having done at a plastic surgery clinic, but don’t worry, it’s nothing like that. It’s in fact a massage that is gaining popularity amongst many women, especially when bikini season is starting. It’s a deep and touch massage that loosens up these touch and stuck area’s so it can then start to break down and leave your body. Lypossage also detoxifies the body of stalled lymphatic fluid (Lymphoedema) that can create the lumps and bulges we know as cellulite. Besides that, it also tones the muscles, lifting and firming sagging tissue. 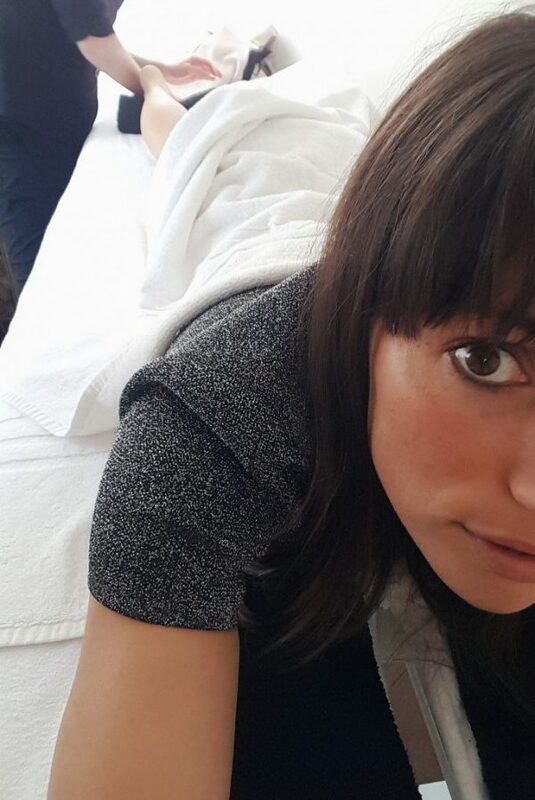 It’s part of a healthy lifestyle and even though it’s not the most relaxing massage you’ll ever have, it’s something that (especially) women stand in line for. 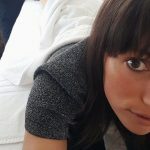 I had my first Lypossage treatment at Vitalíté Amsterdam. This salon, located on the canals of Amsterdam, is run by a wonderful “local” lady named Nancy. She first got into this treatment back in 2005, when the US founder Charles W. Wiltsie came to Amsterdam to introduce Lypossage to the European market. Nancy followed an intensive workshop and since then she is offering the treatment in her own salon. Funny enough, Lypossage is recently taking a center stage in the beauty treatment world, because several celebrities have recently posted on social media about it. I was curious and made my appointment. She is working my body as if she is preparing bread dough! There are 3 different zones; zone one is focusing on your legs, bum and tummy. Zone 2 is for the upper body and Zone 3 is for the face. I went for Zone 1, because after my pregnancy, I started to see some small signs of cellulite, something I had never seen before. Time to get into it! After filling out a short questionnaire, it was time to lay down on the treatment table. The massage starts on the legs and works up to the bum and tummy. “It’s all about the fast movement”, she says. And fast she is! She is working my body as if she is preparing bread dough! Besides the heavy massaging of the skin, she also “hits” it short and fast with the outside knuckles of her hands. This sounds painful but it’s actually not. The massage is less enjoyable if I had to compare the two. Especially when she arrives next to my hips, an area where my fat likes to store itself. (hello chips & pizzas). Those kind of problem area’s tend to be more sensitive. My tummy is the thing that affected me the most. Not at the time, but afterwards. During the treatment she lifts my tummy between her fingers when I exhale, I needed to tense my tummy muscles (I do have them somewhere), and she pulls it. She does this three times after massaging it. I don’t want to get into details, but I had to see Mr. Toilet 3 times that and the next day. My body was literally detoxing and I really felt my body was getting rid of anything that didn’t belong there anymore. It’s important to drink a lot of water or herbal tea after the Lypossage, so that’s what I did. The treatment itself wasn’t so bad as I thought it would be. After a while, you don’t even feel discomfort. Nancy told me, that her customers feel less every time they come in for a treatment because everything starts to “loosen” up. A Lypossage treatment at Vitalíté is 45 minutes long and costs €60,-. You can also buy a package of 10 treatments for €575,- which gives you a discount of 25 euro. Would I do it again? Yes I would. I really felt the effect it had on my body, so something was going on. My legs feel & look firmer and my skin felt smooth, even after a week. I think it’s the perfect treatment to do before a beach holiday. I would suggest getting at least three Lypossage treatments to get the best result. Want to try the same treatment I had? Book yours here!